Here’s a shot directly from the landing, today. Tommy’s loading a truck. It’s a beautiful day out west. I’ll be back on the “Steam Donkey WIP” tonight with an update. 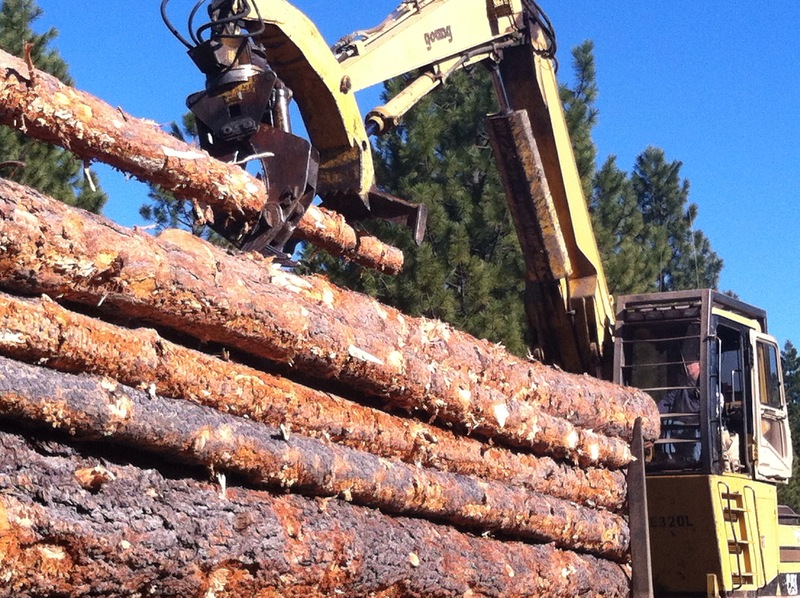 This entry was posted in Forestry, From The Field and tagged forestry, loader, log truck, logging by foresterartist. Bookmark the permalink. It reminds me of the child story about the steam shovel. And it is a gorgeous day here in the East Kootenay, too!. Clear, crisp and the special only in winter blue sky. I’ll take a day like this in the winter over a summer day anytime! Stack ’em high! Can you do Tommy’s job? I’m guessing not, but I’m not sure. Like the humor. With practice, you could challenge Tommie to a race. The thing is, you have your hands in enough projects already!